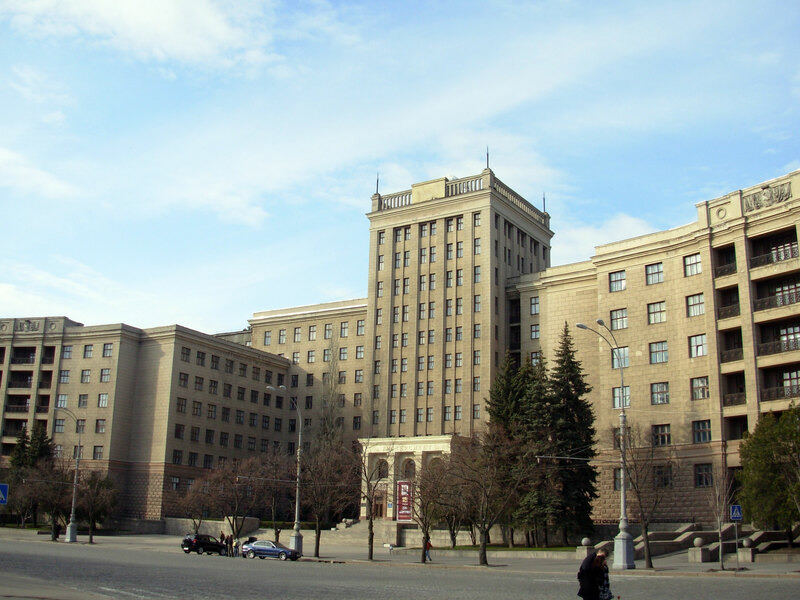 Kharkiv National University called Karazina has the honor to be the oldest university in the Eastern part of Europe. This university was established in the year of 1804.There was a huge opening of the Kharkiv national university on 29th January,1805. Now Kharkiv national university is known as the Best university in Ukraine. The best honor of the university is that 3 prominent Noble prize nominees were trained by Kharkiv national university and afterwords employed at this same university. An honors degree was also awarded to the president of Ukraine by the Kharkiv National University. The mostly streets of the city of Kharkiv are named for the mostly researchers and graduates of Kharkiv national university. University also assist the following universities of the city Kharkiv ,Academy of Law,National Pharmaceutical Academy,Kharkiv Medical University,Kharkiv Veterinary Academy,Academy of Culture Kharkiv,Kharkiv Economics University and other higher educational establishments in Kharkiv city. It is the biggest university in the city with 21 educational departments for different subjects and faculties. Following departments are available at this esteemed university. Biology,Physics and Technology,Radio Physics,Physics,Computer Science,Philosophy,Mechanical Engineering,Geology & Geography,Economics,Foreign languages Department,History,Philology,Fundamental Medicine,Chemistry,Sociology,Psychology,Law,International Relations,Tourism. There are more than 2000 foreign students from different continents are study at different faculties at bachelor and post graduate level.Almost 1500 staff member work at different positions in the Kharkiv National University Karazina. One of the largest research center is also situated in this university.There is also one of the leading Astronomical center in the university.There is also the oldest Botanical garden in this university with the huge collection of plants. The university has also a famous National History Museum and its the oldest university Museum in the world.More than 20000 visitors come to visit this Museum which has 23 halls and covers the area of 22000 Square Meter. The university has also a large library for the students. In 1999 the university was given the status of National university instead of state university. Kharkiv national university is the active member of many international universities in Europe.It has cooperation agreements with these universities. Interested applicants may contact us directly for the 2019-2020 admission process by phone,email or whatsupp and viber today. Students interested in studying in Belarus any course may contact us on following number or visit our site in Belarus.